What could be “awesomer” then having the ability of hitting up some of Orlando’s most popular attractions whenever you want, throughout the whole year, all for the price of only $99? 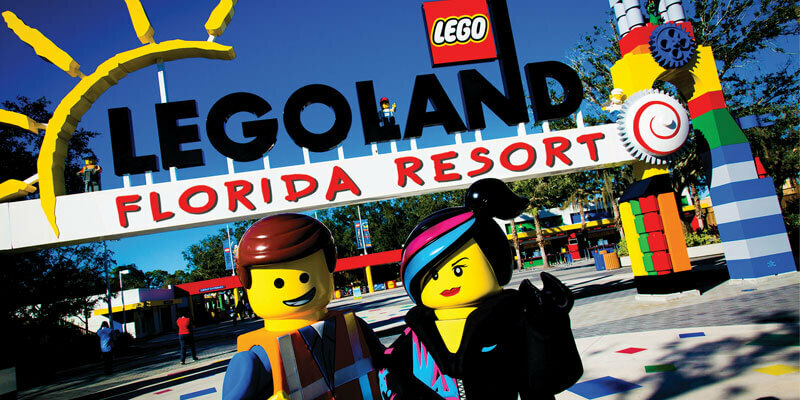 In the next few weeks, LEGOLAND Florida will be having a limited-time flash sale of their Awesomer Annual Pass. The sale will reduce the price of the pass from the usual $149 price tag down to $99. The pass will give you access to the Winter Haven theme park and its attached waterpark, as well as the Coca-Cola Orlando Eye, Madame Tussauds Orlando, and Sea Life Aquarium Orlando, all of which are owned by Merlin Entertainments Group. Additional benefits of the pass include early entry into LEGOLAND Florida, free parking, as well as discounts on food, beverages and retail purchases. The pass also offers guests VIP experiences and stays at the LEGOLAND Hotel and the new LEGOLAND Beach Retreat. The limited-time flash sale will start May 26 and continue through May 29, while supplies last. If you already have an Awesomer pass, you will be able to renew at the discounted rate of $99 through May 31. The special reduced price will only be available online and there is a limit of six passes per transaction. You must have the pass activated in person at the park within 60 days of purchase.